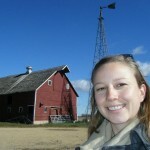 My name is Hannah Bernhardt, and I’m here today on behalf of the non-profit organization The Greenhorns–whose mission is to support, recruit, and promote young farmers in America–and the National Young Farmers’ Coalition. The National Young Farmers’ Coalition is a new organization built by and for young farmers. We’re working to ensure the success of today’s young farmers and future generations of farmers through strengthening networks, policy reform, and farmer-to-farmer learning opportunities. 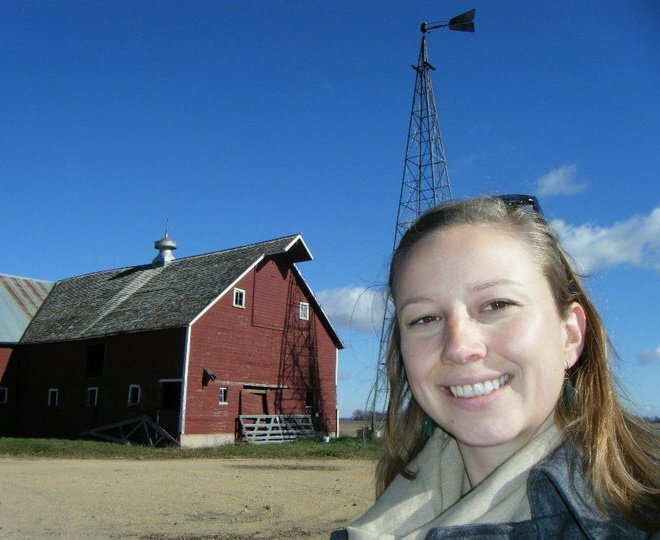 I grew up on a farm in Southern Minnesota, but, like many of my generation, left the family farm to pursue a college education and a career in an urban area. With so many families leaving farms over the last fifty years, and the children of other farmers being encouraged to leave the farm as well, we believe that the USDA must look to the cities to recruit the next generation of farmers back to the land, and must provide them with strong and accessible programs to help them get started in a difficult field. We must not only rekindle the interest of those born on farms, but also create new interest in those raised in towns, cities and suburbs. As it turns out, the majority of young people in our agricultural community who identify as beginning farmers, now come from an urban or suburban background. They generally run small and diversified operations, utilize organic and sustainable practices, and focus on direct-marketing opportunities for their products, selling at farmers markets and through Community Supported Agriculture. Although these farmers are nontraditional, they are ambitious and committed to farming, and are a prime example of the people our nation needs to meet Secretary Vilsack’s goal of 100,000 new farmers in America. When recently surveyed, the top two concerns of farmers in our networks were capital and land access, the two issues that I’d like to address today. Obtaining the capital to get a farm up and running, even on rented land, is overwhelming for many young people. It’s important to note that college graduates today have an average of $24,000 in student loan debt when they graduate. For these young people, the capital required to buy a tractor, seeds, supplies, and fencing may prevent them from pursuing a farming career. To help young people overcome this challenge, we urge the Secretary and this Committee to consider an expansion of the youth loan program to individuals up to thirty-five years of age, and the lending limit to twenty thousand dollars for young people over twenty years of age. The Committee should also focus on how to get the promising Individual Development Account (IDA) program funded and implemented across the U.S. We believe these types of loans and savings mechanisms would help aspiring farmers transition more directly from education to agricultural careers, allowing them to begin building profitable businesses earlier and on steadier footing. Land access is also a critical challenge for young and beginning farmers. In many areas, land is priced far beyond the means of most farmers. This is especially the case within metropolitan food sheds which are crucial to beginning farmers, as proximity to consumer centers allows them to direct-market products in order to get their farm business off the ground. Anywhere within a 3-hour drive of New York City, for example, good land often sells for over $10,000 per acre. Often times, USDA funds protect these lands from development, but they are still sold at unaffordable prices and to owners who are not working farmers. In the face of barriers to land ownership, we see many beginning farmers renting land. Unfortunately, we also see far too many of them losing their access to that rented land due to insecure leases and changes in land ownership. Working hard to build a farm business and then losing land tenure is not a path to success for our nation’s young farmers. Young, new, and beginning farmers need affordable land within a reasonable distance from urban areas. To do so, public monies for the purchase of development rights must be contingent on agreements to keep that land at the conservation value or the agricultural value, a model known as the Option to Purchase at Agricultural Value (OPAV). The OPAV model has been successfully utilized by conservation programs in states such as Vermont and Massachusetts to address the problem of land being purchased by wealthy investors for country estates. Such agreements should also require that the land be sold to an individual that makes a substantial part of his or her income through farming. Additionally, loans are an integral part of land access as well. The FSA loan programs to new and beginning farmers should offer a pre-approval process that helps young farmers make timely bids in competitive real estate markets. Furthermore, loan rules that require direct loan recipients to have participated in the business operation of a farm for three years before applying for a loan should be relaxed. With good credit, farm experience, and a solid business plan, young people should be eligible for FSA loans. As it stands, many eager, ambitious young people are losing out on opportunities to purchase land when it finally becomes available. Before I conclude, we would like the Secretary and this Committee to consider the creation of a national committee of farmers under the age of 35 to advise the Secretary on the needs and concerns of young people pursuing farming throughout the United States. Young people encounter unique challenges when pursuing a farming career, and such a committee would keep the Secretary and staff updated on the success of existing programs and the problems young farmers face. We are the future of American agriculture; we are well-educated and we are motivated to work hard, but if we are to succeed, we need to know our concerns are being taken seriously and have further opportunities like the one today to share our experiences and challenges in the field. Thank you very much for the opportunity to provide this testimony; we look forward to maintaining a dialogue on these issues with the Department of Agriculture and the Beginning Farmer and Rancher Advisory Committee.